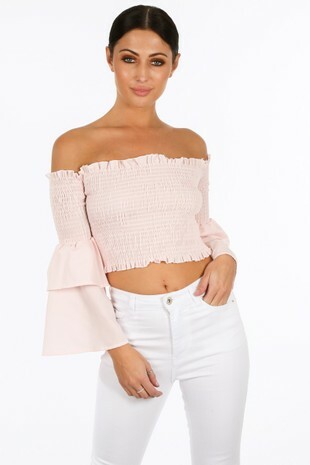 The new season is calling for cute staple pieces like the Cropped Button Front Blouse In Pink. Featuring a button detailing to the front and cuffs, it has long sleeves and a cropped length. This looks great with literally everything, we love it with skinny jeans and barely there heels for a look that'll take you from day to night.